Check out Howard's new Peak DH2. Dwight Howard extended his sneaker resume this weekend with the unveil of his latest signature model with Chinese sportswear brand Peak. 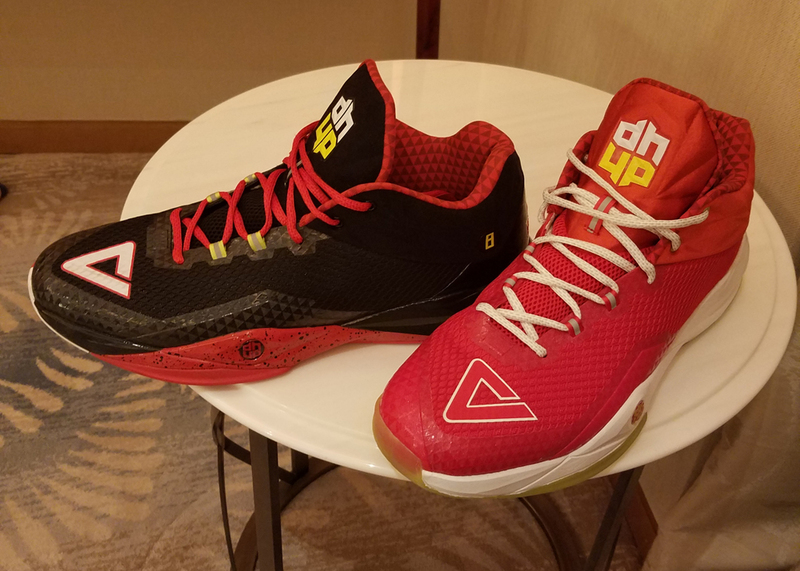 The new shoe is called the Peak DH2 and features colors aligning with his Hawks uniform. 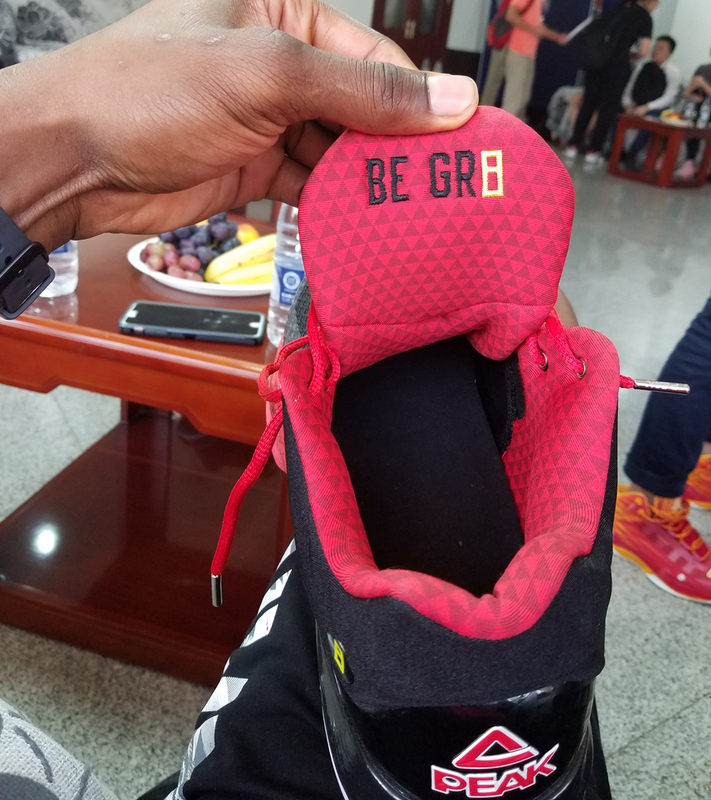 The model also has "Be Gr8" embroidery under its tongue referencing Howard's number with the Hawks. Also on deck for upcoming colorways is a black/white "Yin Yang" pair inspired by Chinese philosophy. These sneakers aren't available in the U.S. yet, but apparently Howard and Peak are working together to try to bring the model stateside. Howard announced his departure from adidas, his previous sneaker supplier, for Peak in September, 2015.